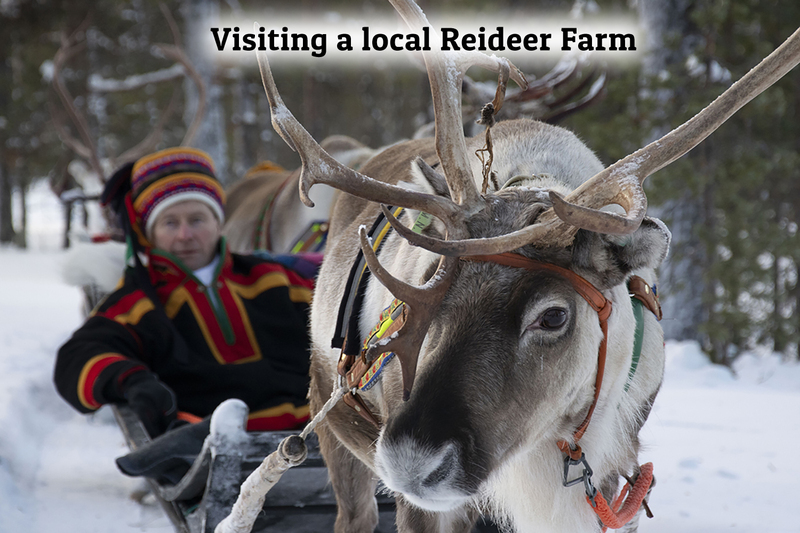 Guests are picked up from their cabin, apartment or hotel and taken to the reindeer farm by car. Transfer time is about 15 minutes. 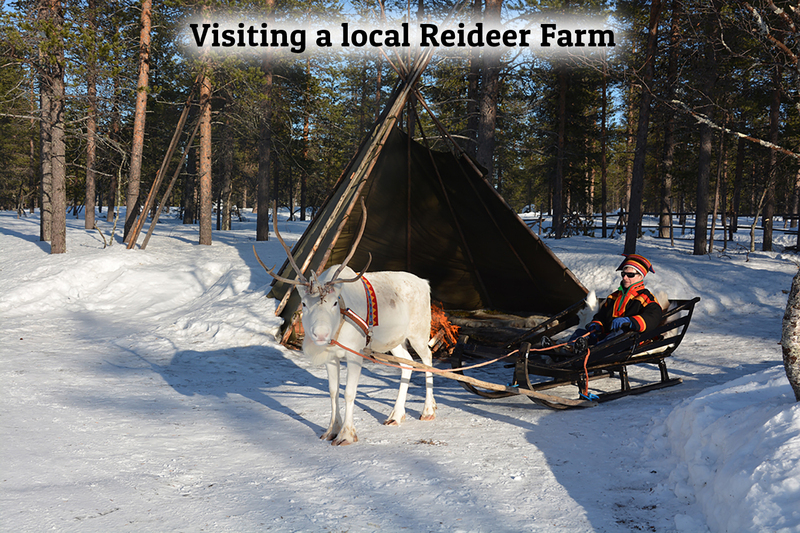 The farm has a Lapp-style area built up in the traditional way with a main building made from logs, a Lappish kota shelter (Lapp tepee), a sauna by the lake and a reindeer enclosure with reindeer. 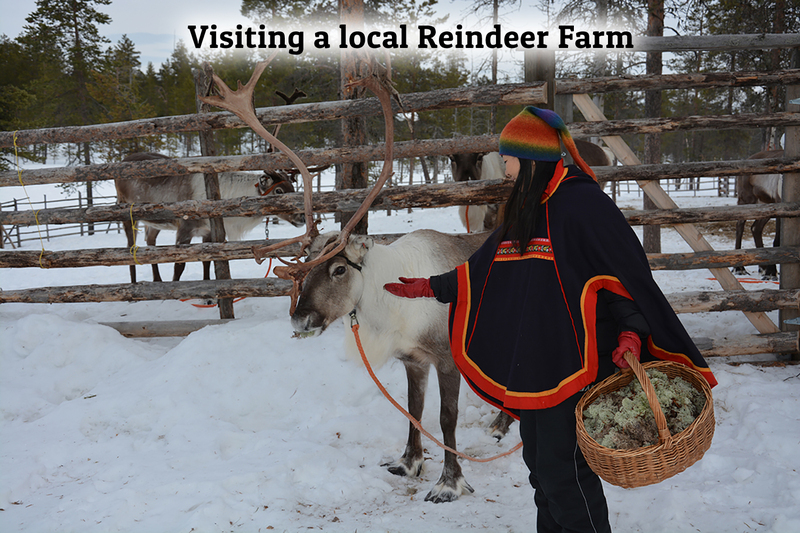 Upon arrival, the Sámi reindeer herder bids you welcome and escorts you to meet the reindeer. The pulling reindeer are harnessed and after showing you how to ride, you can try for yourself what it feels like to try out your skills in practice and steer the reindeer along a short trail (400 m). While feeding the reindeer and practicing throwing the lasso, the reindeer herder tells you about reindeer and reindeer husbandry. In the idyllic old cabin, you savour some coffee before returning to Saariselkä. Producer: Purnumukan Porofarmi Oy, y-1800262-9.